Long gone are the days when people used their phones just to make and receive calls. People these days use their phones to do all kinds of things except making calls and one such thing is listening to music. It is a great way to spend your time in peace. Unfortunately, the default music player in your phone lacks a lot of features and most of us still use it without even attempting to explore alternate options. Fortunately, the Android market is filled with hundreds of music player apps and some of them are really good with a lot of interesting features. 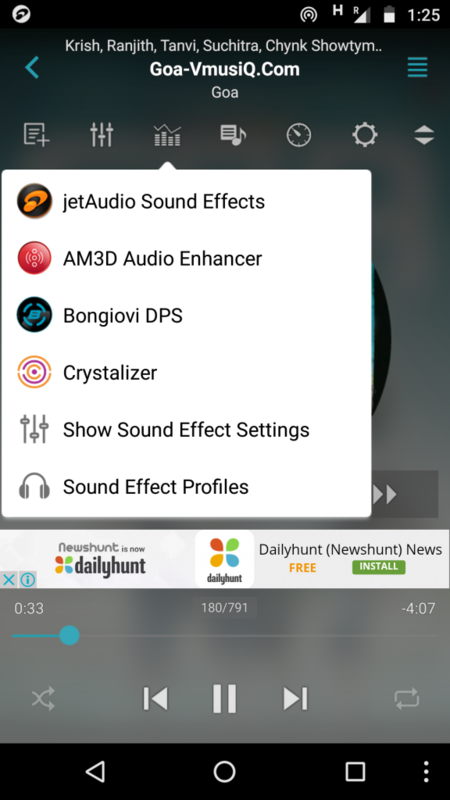 jetAudio HD Player is one among the plethora of music player apps in the Play Store and below is the review of it. Read on to know where it excels and how it stands out from the competition. It is a very small app sized at just 12 megabytes but it comes with plenty of useful features. The initial setup of the jetAudio HD Player is rather simple. Just download the app from the Google Play Store and then open it. The app will now automatically scan your phone for supported media files which include mp3, wav, flac, .m4a, wma and much more. Once the scanning is completed, you can proceed to play the music of your choice. There is no further setup required as the app has a pretty simple interface which is similar to most popular music player apps out there. The default screen is the Artists menu, but you can switch between other menus like Albums, songs and folders based on your preference. 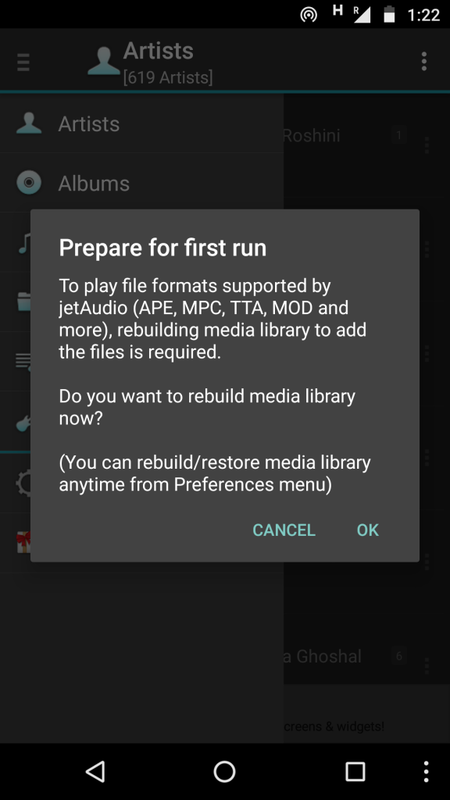 The app is the mobile version of the popular JetAudio player for PC and its design looks somewhat dated and simple just like the PC version. With a lot of app developers implementing material design to their apps, it is quite disappointing to see the app still based on the design language from the KitKat days. 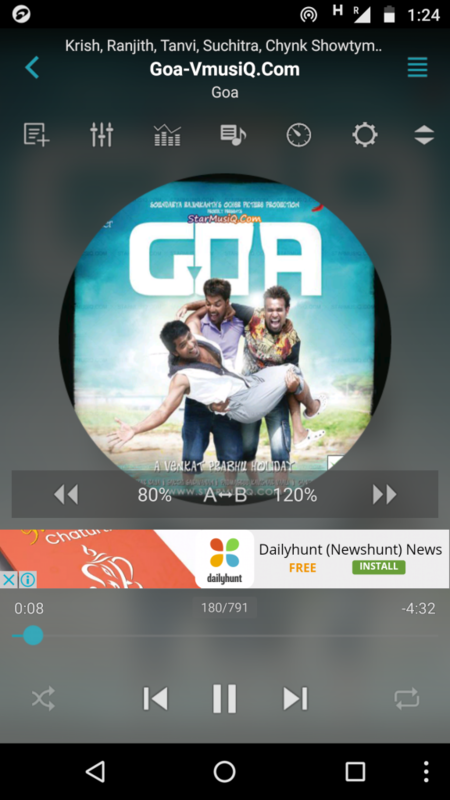 But, since it is a music app and its primary purpose is to play songs, the design can be overlooked. However, there is one thing which is quite annoying about the app UI. 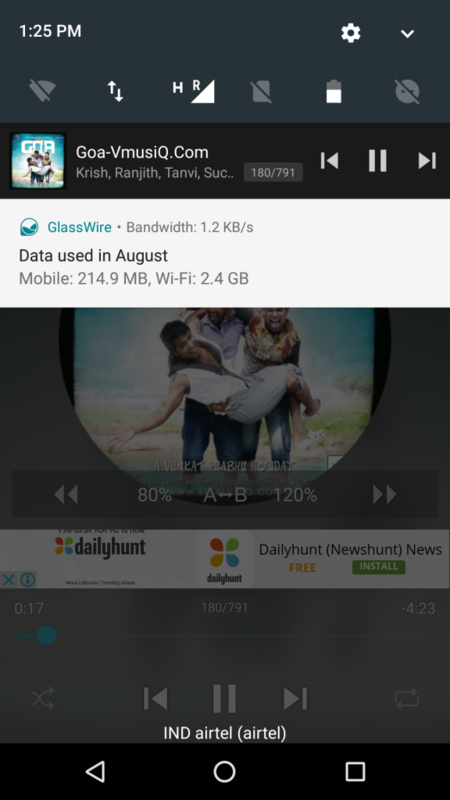 Unlike the notification from most music player apps, the notification of jetAudio does not get dismissed when swiped away. Instead, you have to tap it, open the app, click on the options button and then select exit, making it a tedious and a time consuming process. 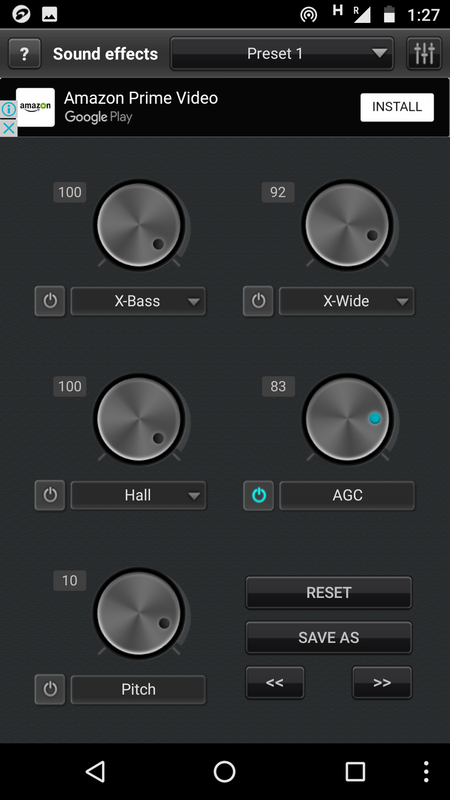 Other than this, the app UI is fairly basic with all the controls placed under the settings menu and the most important ones like the Equalizer and the timer, placed on the main player screen. The free version of jetAudio HD player comes with a lot of ads, some constantly staying at the bottom and some intrusive. While you are not going to spend a lot of time on the foreground of the app, the ads can get in your way when you do. 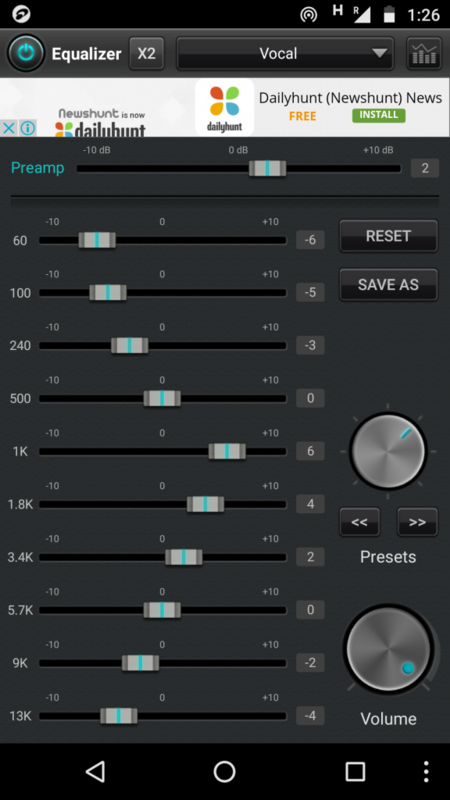 The most important and the most useful feature of the jetAudio HD Player is the highly customizable 20 band equalizer. It could be a real treat for you if you own a pair of high quality headphones and are able to find the perfect preset equalizer settings. It also comes with options to tweak your sound effects based on your surroundings and also set various levels of Bass and Treble. If you are an audiophile, then you might be able to identify the peculiar differences between multiple sound profiles and preset settings. You can tweak the effects individually or as a batch, till you get that perfect effect and then save it as a preset to easily apply it the next time. The app even warns you if you try to increase or decrease the sound effects a little too much. But most of the time the presets present in the app is good enough and provides a perfect listening experience so, you might not even have to mess around with the settings. Apart from the 20 band equalizer, jetAudio HD Player also comes with a AM3D Audio Enhancer and Bongiovi DPS. However, they are limited to use and you have to purchase the Plus version of the music player to get your hands on these features. My favourite feature in jetAudio HD Player is the Find on YouTube option. 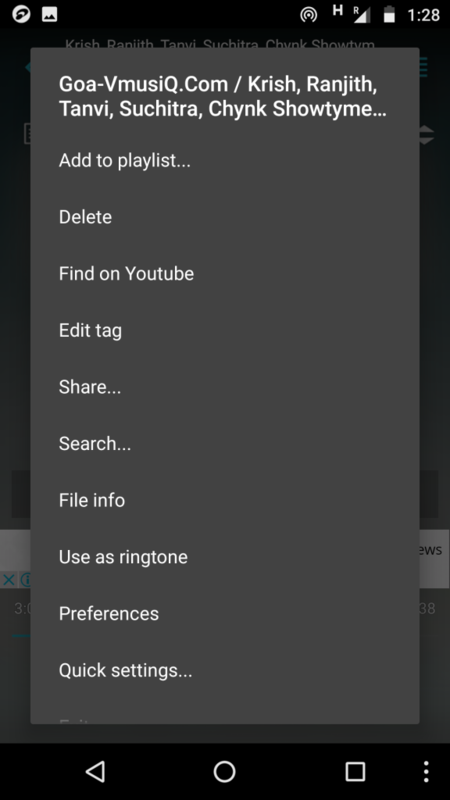 When you are listening to a song, you can select this option from the menu button at the top of the player, and then the app will automatically search on YouTube for the song and 90% of the time, it returned accurate results. 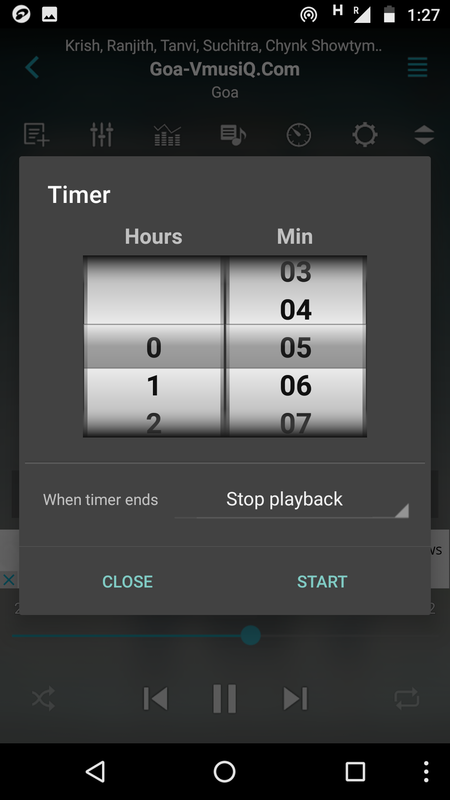 There is also a timer which could be used to automatically stop your music from playing after a certain amount of time. 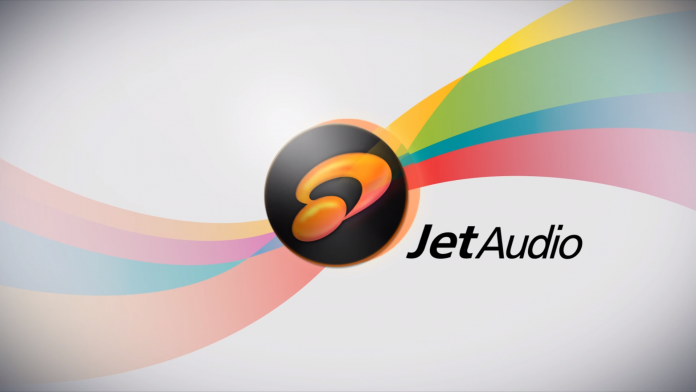 To sum it up, jetAudio HD Player is a fairly decent music player app in terms of design and interface but it is a whole new story when it comes to the features it has to offer. 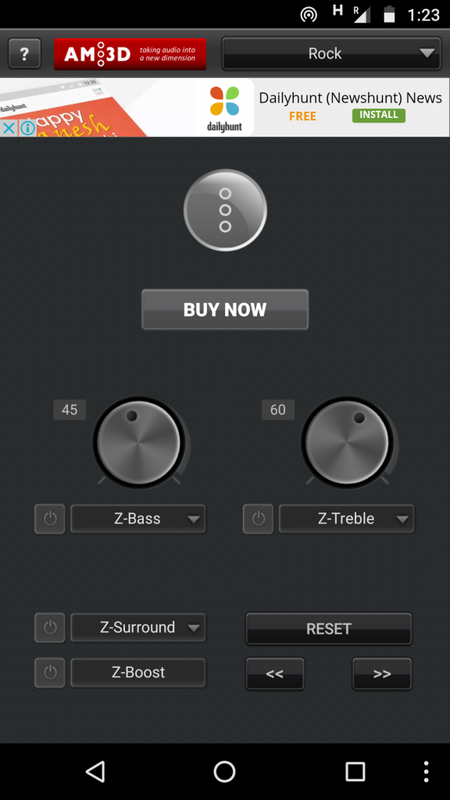 The app has predefined settings for all kinds of music and it has the potential to enhance your listening experience with effects like Bass and Treble if you use the right kind of device.